Let me be straight up about Achilles. 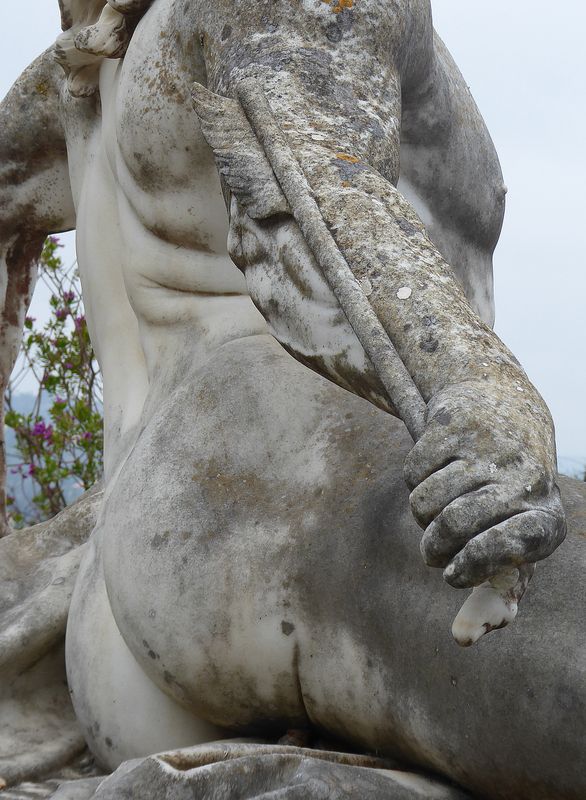 His treatment of Hector and King Priam knock Achilles out of the running for noble and honorable. I’d put him in the gonif class (the Greek for scoundrel is αχρείος). However, Elisabeth, Empress of Austria and Queen of Hungary, fetishized old weak heel Achilles. 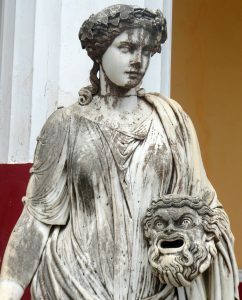 She built a palace in his name (Achilleion) in Gastouri just south of Corfu town. It is chockablock with Achilles statues by German sculptor Ernst Herter and others. The late 19th Century wife of Emperor Franz Joseph I had considerable power and wealth, she was also a cautionary tale. Such negativity aside, the palace is a splendid tour. Raised in nobility, married an emperor (too young at 16), and she even met goal number one for her type — she produced a male heir to the throne. What was the problem then? 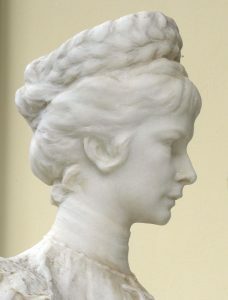 Sissi (sometimes Sisi) as Elisabeth was known was not happy in the Hapsburg court. It was formal and stuffy, and came with a controlling mother-in-law, Archduchess Sophie. Moreover, she was not as enamored of her hubby as he was of her. Instead, she was a looker who was determined to be the most beautiful woman in view. Children? Age? No, nothing was an excuse for her. To feel like a slug, check out her wikipedia entry on her physical regimen. She was 5’8″ and maintained 110 pounds via exercise and diet through four pregnancies and high social life. It seems she was anorexic, which goes with the package. So how you might ask did a Hungarian big-shot come to love Achilles, and all things Greek, and to build a palace off Northwest Greece? Her wiki entry has numerous citations and there are several good biographies of her. 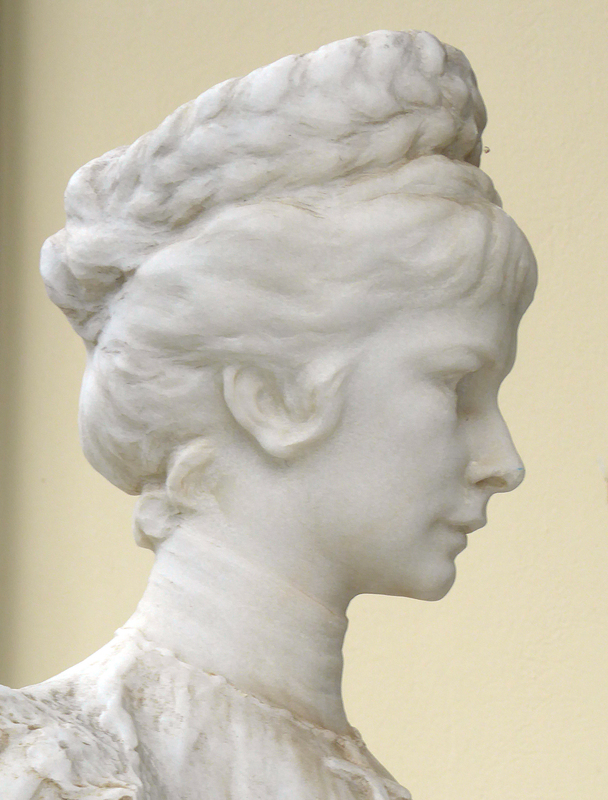 The short of it is that Sissi fancied herself a scholar and saw the ancient Greeks as the epitome of humanity. 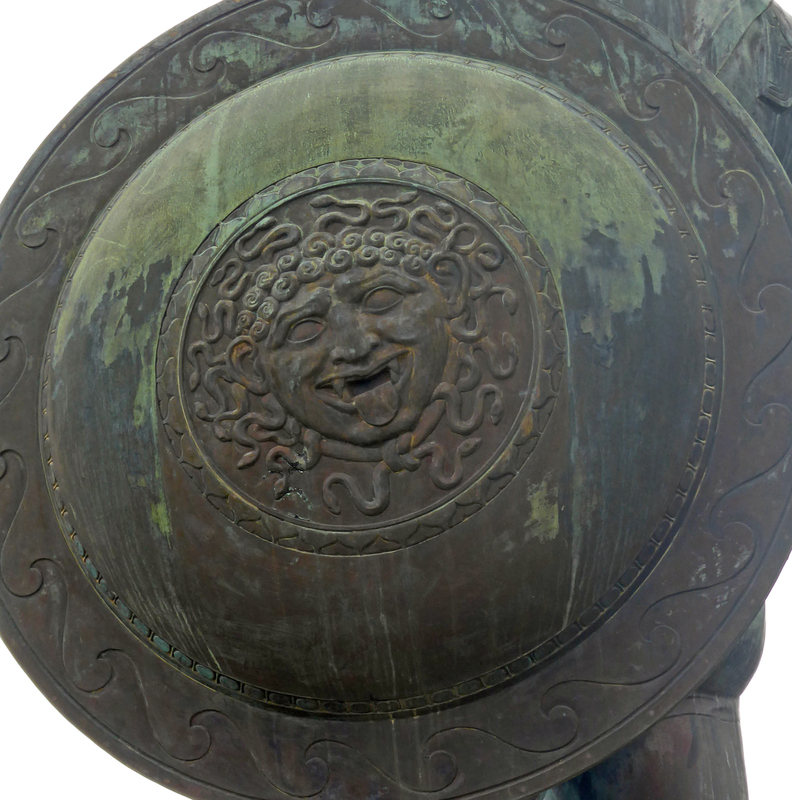 What better basis to continually study the language, culture, philosophy and arts of Greece? Alas, Sissi never enjoyed the Hapsburg game. She and her emperor produced some children, including the mandatory male heir. Apparently neither of them pointed out that the world had a long history of successful women rulers. When the time and circumstances arose, they were stuck. Their one son, Rudolph, at 31 shot his 17-year-old mistress, then himself to death. Daddy had said he couldn’t divorce his wife, Princess Stéphanie of Belgium (arranged noble marriage of course). You can read how this cascade of related events likely lead to WWI. For Sissi, it was closer to home. S he piled on the plans and work orders. She had many builders and craftsmen imported (such as Italian marble workers), and led the palace to completion in just over two years. Sissi visited the palace for long periods twice a year until an Italian anarchist assassinated her nearly 10 years later. Then her daughter Maria-Valeria did little with the property and sold it within a decade to Kaiser Wilhelm II. He shuffled and replace a few of the statues, as emperors are wont to do. The palace suffered various uses, shifting furniture but not the paintings and statues…at least once Wilhelm blundered around. 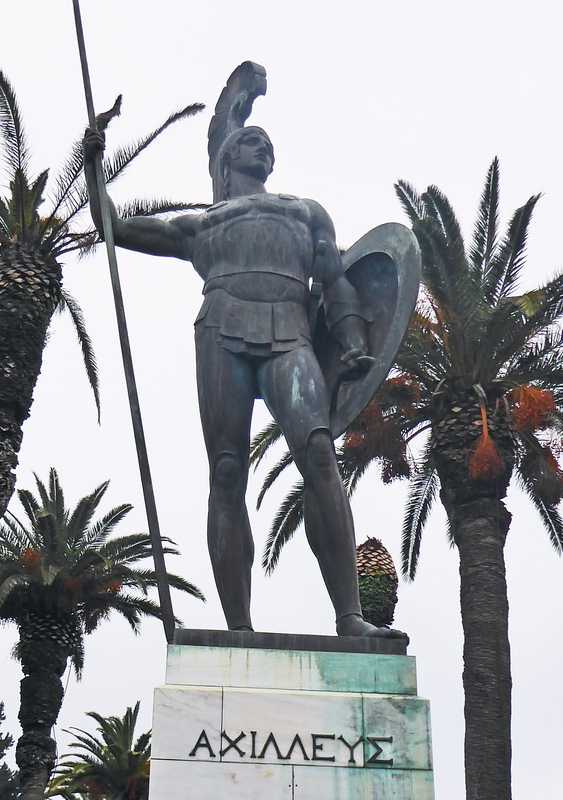 He removed a statue of a Jewish poet, Heinrich Heine, and had added a gigantic full-drag Achilles bronze in hoplite armor. In the main though, it survived pretty well through serving as a rescue center for children, having its second floor transformed from bedrooms into a casino (featured in the Bond flick For Your Eyes Only), and use as an Axis-powered HQ. 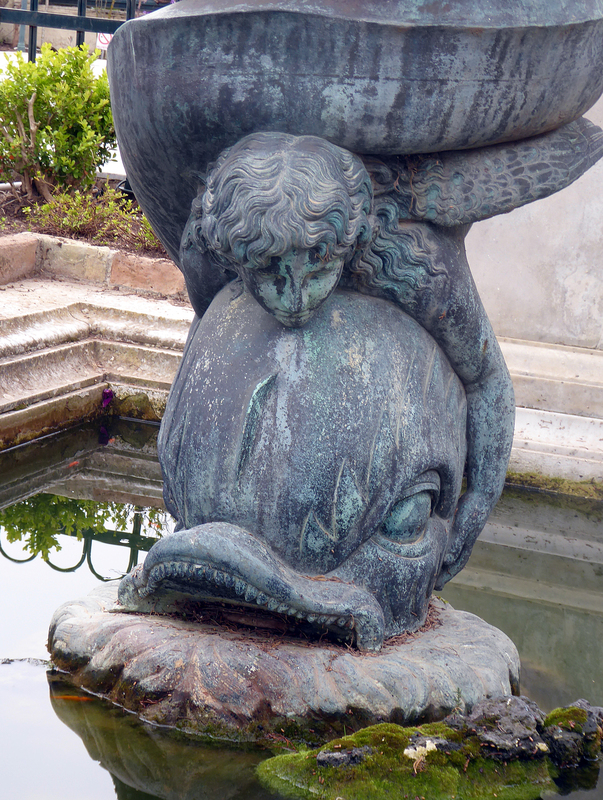 For your 8 € entry, you get use of an audio tour box and a real view of the splendors of the Gilded Age, royal version. 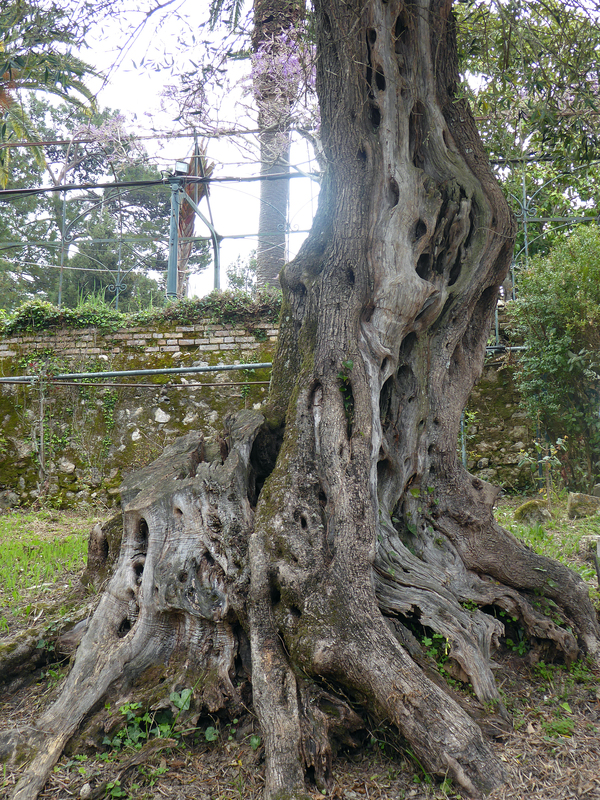 Vista fans and gardening types can revel in the grounds. Levels of terracing lead overlook the forest and old plantings. 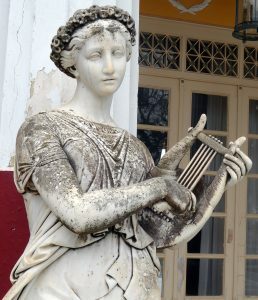 Life sized statues of the nine muses lined a patio. Here are snaps of Melpomene (muse of tragedy, holding a tragic mask) and Terpsichore (muse of dance with a lyre). Behind them were 14 busts, 13 ancient Greek philosophers, and somewhat inexplicably William Shakespeare. 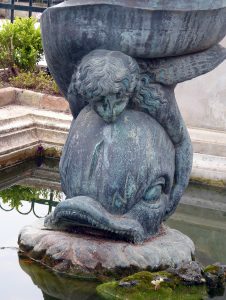 Furniture outside and a fountain by the muses featured another of Sissi’s obsessions, dolphins. That bronze Achilles Wilhelm commissioned included a shield with an intimidating gorgon. 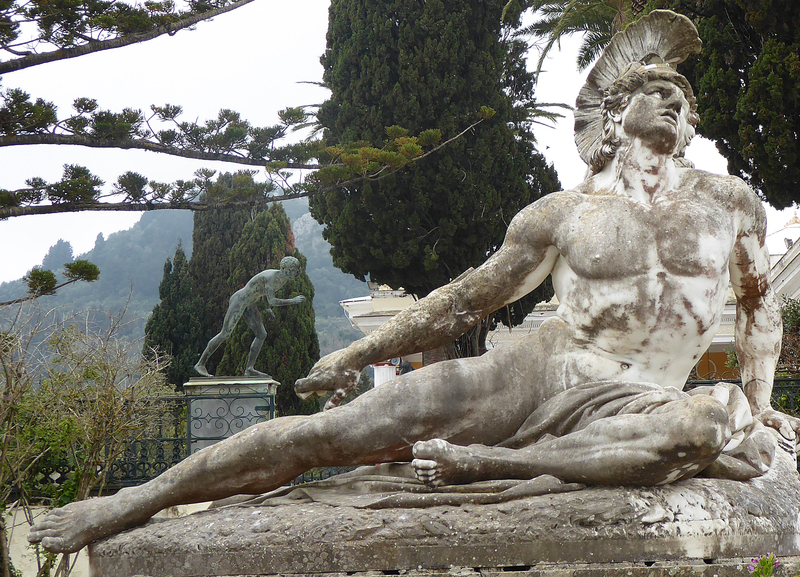 Befitting the palace’s name, the highlight statue is a gigantic dying Achilles. 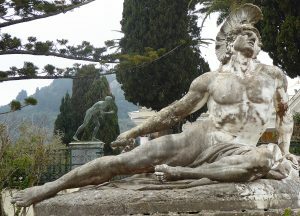 For drama, dying Achilles appears pulling the fatal arrow from his heel. Pix Notes: You’re welcome to anything useful. They are Creative Commons, so just cite Mike Ball once. Click images to enlarge.